The UBC Okanagan Provost Award for Teaching Assistants and Tutors recognizes the exemplary contributions of students in their teaching support roles. This award is administered on behalf of the Office of the Provost, through the Centre for Teaching and Learning. The recipients of the award are selected based on the criteria listed below. 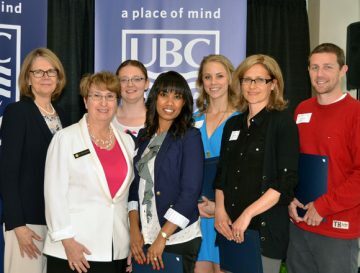 Up to six award winners receive a $500 prize, a certificate recognizing their accomplishment, and are listed on the Centre for Teaching and Learning website. This award is open to any undergraduate or graduate teaching assistant or tutor at UBC Okanagan who acts or has acted in this position during the current and/or the preceding academic year. Nominations must come from supervisors (professors, senior laboratory instructors, Academic Resource Centre staff) of the TA/tutor. Students who would like to see their teaching assistant or tutor nominated for the award are encouraged to speak with their course instructor or the Manager of the Academic Resource Centre and collaborate in the nomination process. TAs and tutors cannot nominate themselves for the award. The Centre for Teaching and Learning is responsible for issuing a call for nominations to the AVP Students for tutors in the Academic Resource Centre and the Deans of each faculty/school. The AVP Students and each Dean are responsible for directing unit/department heads to collect nominations from their respective areas. Nominations should be forwarded to the nominee’s unit/department. Once all nominations are collected by the unit/department head, they are submitted to the Dean of their Faculty or School or the AVP Students. The AVP Students and Deans will review the nominations and may submit up to four nominations from their faculty/academic area (up to six nominations from the Irving K. Barber School of Arts and Sciences) to the Centre for Teaching and Learning for the selection committee to review. Completed and reviewed nomination packages must be submitted to the Centre for Teaching and Learning in SCI 200 by Friday, March 9, 2018. A letter of nomination, typically written by the faculty member making the nomination, that refers to the selection criteria and indicates why the nominee should receive the award.